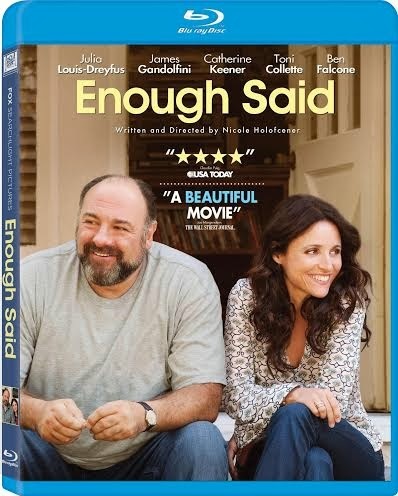 In Enough Said, available on Blu-ray and DVD on January 14th, Julia Louis-Dreyfus and James Gandolfini play divorcees who find a second chance at love with each other. After being taken for a while, dating may seem like a daunting prospect, which is why we decided to share some tips for dating after divorce. Where do you go? What do you say? Did you think eHarmony was a boy band? Don’t worry—with a few tips listed below, you’ll find a new love connection in no time! Traditional dating required quite a bit of effort. This has changed in recent years with the rise of online dating. This dating tool uses complex algorithms to match you with other singles by comparing things such as your values and interests. Online dating allows people to ease back into dating, as well as eliminate the biggest hurdle to creating new relationships… meeting new people! Adopting an adventurous attitude towards relationship-building will give you the opportunity to meet new and interesting people, which in turn, will open you up to exciting new experiences. While there’s a chance you will not meet your soul mate the first try, the knowledge and experiences gained will be invaluable to your growth as an individual, as well as your capabilities as a partner. First impressions matter. No matter how great your personality is, a bad first impression can ruin any chances for a potential connection. A new haircut, pair of shoes, or outfit can go a long way to impressing potential partners, as well as giving you the extra self-confidence to be the best you. During the initial months of your new-found dating career, you have nothing to lose by dating multiple people. This will allow you to explore a plethora of different options and experiences. When you finally meet the right person, he or she should consequently stand out way above the rest.